What seems like just a few short months ago I had the chance to review A Mothers Story and also the opportunity to interview Amanda Prowse, the author now presents her latest book Perfect Daughter. I must thank Midas PR and Head of Zeus for the Advanced Review Copy. 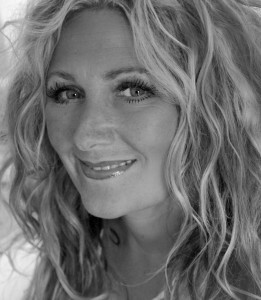 Amanda Prowse is not afraid of writing books that touch on issues that either have affected readers directly or know someone who has been directly affected. With Perfect Daughter this is a story that this reviewer has had first-hand experience of so it touched me and brought back first hand memories. We are presented a story of Jacks a wife, a mother, a daughter doing everything on a daily basis to keep the family on an even keel and trying to be a success at everything. Pete is her husband and perfect in every way, just trying in our modern world to bring up a family and work and finding a balance to make everyone happy is hard work in its self, now throw into this story Jack’s mother Ida, suffering from Alzheimer’s now the story takes on a who new dimension. This is story that at times is totally heartbreaking, yet anyone who has looked after loved ones suffering from this terrible disease will know at first-hand what is involved. This is a family that I came to love at every turn of the page as it resonates with me. The story set in Weston-Super-Mare starts with Jacks having just married Pete and is expecting their first child, a new home and plans for the future, not only in being a family but careers and renovating their new home. Jacks always wanted a conservatory to make the home complete. Now we move ahead a number of years and the family has increased as they have two children and still no conservatory. I loved the younger Jonty for his spirit and his at times his wonderful humour which the story needed to give it some lighter moments. I really wanted to throw my arms around Jacks at times and re-assure her that everything was going to be ok, just visualising what she was having to cope with on a daily basis, changing her mother’s soiled bed clothes and juggling the daily routines of bringing up a family. At times I did have to put the book down and read something else as it brought back memories for me that I have tried to bury. Anyone who has been there will know what I mean here. Watching someone who you loved and inspired you fall away and regress to the point that they don’t know you anymore despite all the love you give them is totally heartbreaking. I have believed that if you plan to write a book about issues such as these that will affect the large majority of us in time then you must do so with honesty and candour and tell the story holding nothing back. Amanda Prowse has done that with all her books to date and this especially is especially true. It is not easy to do. I loved the way that this story bounced back to the past to recount Jacks days growing up and bringing it back to reality and the everyday challenged of bringing up Martha and Jonty and making sure that they had everything they needed. Every family has its difficult times and it is the love that keeps it going and keeping it together. Perfect Daughter pulls no punches and will fill your heart to bursting, for many reasons. How would you cope if you were Jacks would you do anything different. I guess that is the point that we are all unique and react different to situations. If you are putting a list of books to read this Summer, think about Perfect Daughter as it is thought provoking in more ways than one. 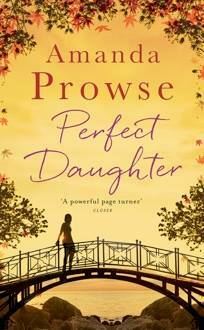 If you have not read any of Amanda Prowse’s novels to-date, and always wondered, make Perfect Daughter your first. I think you will become a fan. Amanda has always obsessively crafted short stories and scribbled notes for potential books. Six years ago, she quit her job as a management consultant and began writing full time. Her first book, Poppy Day is a contemporary novel following an army wife whose incredible love for her husband gives her the courage to set out to rescue him after he was taken hostage in Afghanistan. Originally self-published in October 2011, Poppy Day quickly became a bestseller and Amanda joined the prestigious Head of Zeus publishing house. The second in the No Greater Love series, ‘What Have I Done?’ was an eBook sensation where women worldwide identified with the theme of domestic abuse in middle class households and it was subsequently voted a ‘Best Book of 2013’ by Amazon Kindle. Amanda followed this by joining the team of the ITV This Morning show as their resident author in 2013 when a series of her ‘Summer Shorts’ were featured on the ITV website. All of Amanda’s books in the No Greater Love series share one common theme – the main characters are ordinary women who find themselves in extraordinary situations where their strength, resourcefulness and determination is tested to their very limits. The covers for the series are works of art in their own right by the award-winning designer Ami Smithson of Cabin London. Perfect Daughter was released on 2 July and is the eighth novel she has written. Three and a Half Heartbeats will be released in September. Posted on July 11, 2015, in Amanda Prowse, Head of Zeus, Perfect Daughter. Bookmark the permalink. Leave a comment.